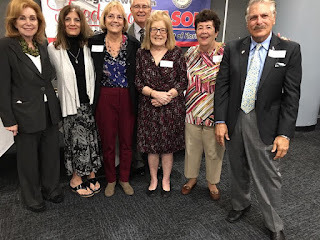 Earlier this spring, nurses and case managers convened for a task force meeting at the Miami Jewish Center that focused on strengthening compliance and standards for licensed facilities for seniors. 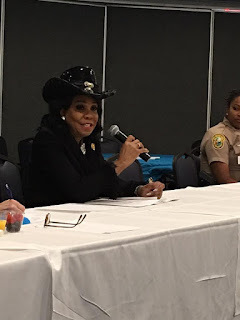 Rep. Frederica Wilson (FL-24-D) served as a host. Eight seniors perished in the Hollywood Hills nursing home in sweltering temperatures when Hurricane Irma knocked out power and no other electricity was available for air conditioning. According to Rep. Wilson’s press release, the mission of this task force is to explore policies and measures to prevent catastrophes like the one that took place at Hollywood Hills. Lives are saved when long-term care centers take precautions. A participant at this meeting was NNNO Board member, Anne Llewellyn RN-BC, MS, BHSA, CCM, CRRN. Anne came prepared to the meeting to educate Rep. Wilson about H.R. 1651 and ask that she become the 75th co-sponsor for the bill. Thank you to Anne for her continued advocacy and to the Congresswoman for her support. Also joining the growing list of co-sponsors in the House of Representatives for H.R. 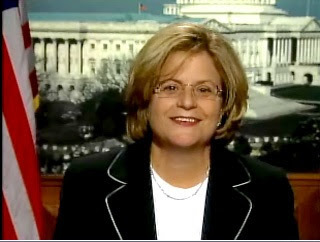 1651 The National Nurse Act is Congresswoman Ileana Ros-Lehtinen (FL-27-R). Congresswoman Ros-Lehtinen began her career as a certified teacher in Florida. She was first elected to serve in Congress in 1989, becoming the first Hispanic woman to do so. Congresswoman Ros-Lehtinen is committed to increasing the affordability of healthcare through common sense reforms as the best solution in assuring more Americans have access to quality healthcare.